It’s super-fast, it’s viral, it can spark civic engagement, and it’s free. Social media helps cities in their core mission of reaching more constituents to more broadly share government information and activities. There are more than 900 million users on Facebook and more than 600 million users on Twitter. It’s the quickest, cheapest way to communicate and interact with your community. The benefits of using social media are evident: you can write in common language, raise awareness and participation in municipal activities, and build a stronger community. Social media can also increase government transparency, and it allows you to communicate directly with residents. Social media does not replace traditional means of communication, rather it should be used to supplement standard methods. Don’t use social media just to use social media. Have a reason and a message to communicate. Pick and choose the platforms you wish to use, and use them loyally. It’s better to use one or two platforms regularly and well, than multiple networks infrequently and poorly. Try to keep the number of accounts per platform at a minimum. The more accounts you have, the more you segment your own community and minimize your reach. There are exceptions to the rule, however. Well-known city programs, events, or places that are associated with the city but have no immediate logical affiliation with the city in the minds of citizens, can in fact have a separate account. Examples include Zoos, Beaches, Parks, etc. Don’t use social media if you simply want to broadcast your message; it’s a conversation, and you have to participate by both providing information and listening to feedback. With more than 900 million active users, Facebook is the most widely-used social networking platform in the world. Facebook helps cities connect with residents and build community online. Facebook fanpages are used by many municipal governments to provide residents with information about government services and projects, local events, rules and regulations, and other relevant topics. It’s also a forum to engage in a dialogue with residents, garner feedback, and strengthen relationships with the community. There is one primary Facebook page for the City and County of Honolulu: facebook.com/Honolulu.Gov. Here are two examples of city fanpages done well: City and County of San Francisco and City of New York. > To create a fanpage, you personally must already have an authentic Facebook profile. > Either log in to it, or sign up for a free account. > Select the "Company, Organization, or Institution page" option. > Choose the Category: "Government Organization." > Create the page name. It should be easily identifiable, include city name in it, and the word "gov" or "city." Shorten the name if possible. Be consistent, try to use the same username throughout all social media. > Follow the prompts to upload a profile picture. (Use a city logo, group photo, etc). > Provide basic “About Us” information, and link to your city’s website. Also include some text saying that this page is the "official" page for the city. > Choose a username: facebook.com/username. Example: facebook.com/nycgov. > Follow the prompts to see basic functionality. > Be sure you're acting under the page name, then select "Edit Page" on the admin panel. > See How to add admins for further assistance. > Select a profile picture. This should be a relatively permanent selection and should be the city's seal or logo. This will be the image that shows up on fanpages or posts next to where you make comments. > Select a cover image that is aesthetically pleasing and relevant to the city. You can update this from time to time. > The “Timeline” is a collection of photos, updates, and interactions between you and your community. This is where you add content to share with your fans. > The “News Feed” is an aggregate of updates from other organizations, businesses, and people that you have selected to follow. You can share these messages with your own followers by clicking on “Share." > It's important to “Like” other city pages, as well as community groups and members, organizations, local businesses, and news outlets. This is how you learn what's going on in your city, gain followers, and build an online community. > Share photos, videos, information, news articles and other relevant information with the public using the "Share" menu visible from your Timeline. > Don't rely exclusively on text or photos; mix up the content mediums. Rotate through text, articles, video, and photos. > Make your posts informative and fun. Post street closures and upcoming fairs or festivals. Post a picture from a press conference and from a parade. > You can access the Notes application after you've signed in. > Go to your fanpage's home page, click "Edit Page," then click "Update Info." > On the left, click the "Apps" tab. Then, click “Go to App" in the "Notes" section to begin writing a note. > When typing a post, begin with an " @ " and continue typing the name of the individual, place, or organization you wish to tag. > If the person or organization is part of your network, the name will auto-complete as you type, and you will be able to select it. > Notifications will be sent to each party being tagged. > Tagging shares your post or photo with the networks of those you have identified, allowing for broader visibility. > Respond to comments made on your posts or on your wall. Also, make comments on posts of those fanpages you follow. > Share relevant links from a page you follow, or post links, articles, pictures, or videos that are relevant to your residents. > Pictures garner high visibility on Facebook and often prompt more interaction than any other type of posting. > Remember, interacting is not only a great way to build community, but it also makes your city's residents feel that their opinion matters. > When someone posts to your timeline and is looking for a response, respond. It's called "social" media after all! > Use Facebook’s built-in analytics, accessible via the admin panel, to get a better idea about which content is driving traffic and shared most. Use the learning to share more inspiring content. > You can utilize “Facebook questions” from the "Share" menu to gain insights, get feedback, and encourage participation by community members. > Find a conversational voice and stick to it. > Be consistent in tone but varied in content. No one wants just pictures or only text. Mix it up. > Work to post a similar number of content items each day. Minimum, one! But remember, over-posting content will only annoy your fans and cause them to "unlike" your page or hide your content from their news feeds. Twitter is one of the most frequented social media networks in existence today. It's designed to instantly connect users to what's most important: you can follow other cities, local business, community leaders, and news outlets. The nature of the platform is viral — individuals passing along one another's comments to their own networks — making it one of the quickest, easiest methods to broadcast information to an expansive audience. > If you don't already have a Twitter account (also known as a "handle"), create one. Note: the more Twitter handles you have publishing content, the less effective your overall communication. > Create a username: it should be easily identifiable, include city name in it (shorten if possible), and the word "gov" or "city". > Be consistent. Try to use the same username throughout all social media. > An “ @ ” will be added to the front of the name and will always be included as part of the handle. Example: @HonoluluGov. > You will be prompted to build your profile by following others, making your profile searchable by category, and adding character (an image and bio) to your profile. (You have the option to skip this if needed; you can always do this later). > A verification email will be sent your primary email address. Click the link in the email to confirm your account. > If you already have a Twitter account, ensure that your name or handle is easy to recognize, and sounds official. > At any point, you can change your handle to a more readable, credible, and easily identifiable name while maintaining all your current followers and posts. Example: instead of @HNL_info, use @CityofHNL or @HonoluluGov. > Your profile description should include the words "official" and "government" to ensure that viewers are aware that you are providing official city information. > Your profile should also include a link to the city or city department website, as well as a link to the complete list of Twitter accounts and hashtags used by the city. > With Twitter, you create tweets to share information with the public and follow others to stay informed. > Each user has his or her own page, which can be found at twitter.com/username. This page displays tweets of those you are following, and space to create a tweet on the upper left. > Tweets are no more than 140 characters long. They can contain links. > It's important to follow other community groups, community members, local businesses, organizations, governments, and news outlets. > It's important to not only follow others but to retweet their content to your followers and reply to their posts. > Use shortlinks. You can shorten links at bit.ly or go.usa.gov. > Although Twitter automatically shortens links, using bit.ly or other URL shorteners to tweet a shortlink is best practice because bit.ly also enables you to track and analyze your links. > Direct messaging: allows you to privately communicate with a follower (only with those users that follow you). > Retweeting: shares someone else’s tweet with your followers. > Hashtags: The “ # ” symbol, called a hashtag, is used to categorize messages and associated themes. > Keep active Twitter accounts to a minimum. Multiple Twitter accounts will only fragment your audience, and the community of followers you wish to develop won’t be attainable unless account consolidation occurs. > A new Twitter account or handle should only be created if there is a logical disconnection between the entity and the city, such as a zoo. Or if a department draws a specific, dedicated, yet broad audience that is keen on being kept up-to-date on the departmental functions, such as the police department. > Instead of multiple Twitter accounts, use hashtags for topics. > Follow others. It's an easy way to get more people to follow you and grow your impression. > Retweet often. You want people to retweet you, so retweet them. It's a good way to build social capital. > Tweet a variety of topics and media. Tweet information and notifications, as well as news articles, photos, and less formal comments. > Share video from your YouTube channel or pictures from Flickr. (View the Flickr & YouTube sections for instructions). > Don’t start tweets with “ @ ” unless you're tweeting at someone. These are considered a reply and are not displayed to as broad of an audience, and look like an internal conversation which will get ignored. > Use hashtags as often as possible. This allows for broader awareness of your message. > Create hashtags for a given topic or event such as the Honolulu Pride Parade (#hnlpride). Promote and get your community to use it as well. > When you tweet at someone, use their Twitter handle (name) at the beginning of the tweet. This allows for minimal viewing and indicates that you are speaking directly to that person. > Reply when mentioned or tweeted at. It's called “social” media after all! > Don't enable the setting to post your tweets to Facebook. You don't want all your 140-character tweets cluttering up your Facebook news feed. They are different media, intended to be used differently. > You can post pictures by emailing them to a special email address that's designated for your account. Write any text in the subject of the email. > Keep your messages short and simple. You don't have to use all 140 characters. > Learn the lingo. Look up the shorthand. Flickr is a great way to host a comprehensive public database of a city’s photographs. Photos can be viewed by anyone without the need to register an account, so residents can quickly see that recent community event or city function. You can easily share photos from Flickr to other social media platforms. The City of Honolulu has one Flickr page: flickr.com/HonoluluGov. Here is an example of a city that uses Flickr well: City of West Hollywood. > If you have a Yahoo!, Google, or Facebook account, click “Sign in” at the top. > If not, click “Sign up” to create a new account. > Follow the prompts. Fill in required information. > Create a screen name. It should be easily identifiable, include city name in it (shorten if possible), and the word "gov" or "city." > Create/Upload an icon, the small image that will always be displayed next to your name, such as the logo or crest of the city. > Customize your URL: turn flickr.com/kfjhasimfhweuare into flickr.com/HonoluluGov (this is PERMANENT and cannot be undone). > Add basic info about the city. > Include the URL to the city's website. > Include the words "official" and "government" in the profile description to ensure viewers are aware that this is the official Flickr page for the city. > You can upload photos one at a time or multiple at a time. > Tags are words to identify the picture. Examples: Town Hall, June 2012, City of Honolulu, The Greenhouse. > Tagging photos is very important. It allows for images and sets to easily be found in searches. Whenever someone searches Flickr using a keyword, Flickr aggregates all the images tagged with that keyword. > Add approximately 3-7 tags, the more the better. The more tags the more searchable the photo is. > You can add tags to individual photos or to an entire batch of photos. > You can add tags when first uploading photos, or later, after they have been uploaded. To add tags after they have been uploaded, click "Organize & Create," then "Edit photos," then "Titles, tags, and descriptions." > A set is a group of photos that go together and can be viewed as a "set." Example: Town Hall, June 2012. > Sets allow for easy viewing of an event, meeting, or location. > You can create sets when first uploading photos, or later, after they have been uploaded. > Collections allow you to bundle sets, allowing for greater organization of your photographs. Example: Town Halls. > To create sets after uploading photos, or to create collections, click on "Organize & Create," then "Sets & Collections," then "Create a new set" or "Create a new collection." Select appropriate photos for the set, or appropriate sets for the collection, then click and drag them into the workspace. Add a title and description of the set or collection. > Flickr allows you to control the visibility and downloadability of individual images. It also allows you to control the parameters of reuse (or licensing) for individual images. > You can set visibility, downloadability, and licensing for individual images as well as for sets and collections. > To control photo permissions, click on "Organize & Create," then "Sets & Collections." Select the set or collection you wish to adjust, then click on "Batch edit." Then select either "Change permissions" or "Change licensing." > You can set default visibility and licensing for your entire account. Under the “You” tab, click on "Your Account" then click on the "Privacy & Permissions" tab. > Licensing is conducted through Creative Commons which permits others to use your photos to varying degrees. > Flickr allows you to download and save photos that others have posted (assuming permissions allow). > To download a photo, select it and click on "Actions," then "View all sizes," then select the size of photo you wish to download. > Currently, Flickr has no batch download option; however, you can try one of these third-party tools. > Use Flickr as the main place where you upload all photos. > Share Flickr photos to other social media platforms, such as Facebook and Twitter, by posting the Flickr photo link. > Each photo uploaded to Flickr will have a unique URL, as do sets and collections. You can link directly to a specific photo, a set, or a collection of photos. > When viewing a photo, set, or collection that you wish to share, click on "Share," then copy the link provided under "Grab this link." > If you are sharing to Twitter, click the "Show short URL" box, copy the shortlink that appears, and paste the link where desired. > Each photo uploaded will also have a unique HTML embed code. Use this embed code for websites and email blasts if you would like to display that photo nested within the email or website. > Use Flickr as your centralized hub so all your city’s photos can be easily viewable in a single location. > Photos are one of the most highly viewed posts throughout social media. Be sure to share them! > Flickr allows you to join groups and add contacts. Joining groups and adding contacts related to your community is a great way to develop a following. > Photos are an excellent way to involve the community in an event and literally show what happened at it. > No one wants to look through 100 photos from an event, especially photos of signage or name tags; don't post these. > Don't post multiple pictures of the same person or viewpoint. Doing so will bore the viewer and will lose their interest. > Aim to post a maximum of 15-20 photos from each event. YouTube is a popular platform used to upload, view, and share video. More than two billion videos are viewed every day, with more than 35 hours of video uploaded every minute. Videos are the best way to communicate complex messages or involve the community in events. Use YouTube to share videos of community events or other local activities. 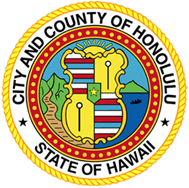 There is one YouTube channel for the City and County of Honolulu: youtube.com/CandCofHonolulu. Here are two examples of other cities that use YouTube: City of Raleigh and City of Austin. 2. If you don't have a YouTube channel, create one. > If you have a Google account, you can click “Sign In” on the upper right. > Otherwise, click "Sign In," followed by “Create an account.” Register for an account. > After you're signed in, click the arrow on the top right (next to your account name), and click "My Channel." > Click on "Channel Settings." It will prompt you to design your page. > Edit the channel URL under the "Info & Settings" tab to your preferred username for easier recognition in search results. > Under the "Tabs" tab, choose the preferred “Activity you will share” settings. > Choose your preferred "Feed Settings" to best manage the comments that may be posted on your channel. > Click "Upload" and choose your preferred method of uploading. > Change the Title, add a Description, and add tags. 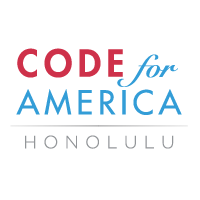 Examples: Town Hall, June 2012, City of Honolulu, The Greenhouse. > Choose preferred settings for Privacy, Category, and License. For License, note that "Creative Commons - Attribution" allows other users to copy and re-edit your video. > Click "Advanced Settings" to choose additional preferred settings. > Everyone has a specific channel and URL: youtube.com/mychannel. > Find and subscribe to the channels of community groups and members, local businesses, organizations, events, governments, or news outlets. > Share your videos to other social media platforms such as Facebook and Twitter to ensure they receive broad visibility. > To share a chosen video, open the video in the YouTube player, click the "Share" button under the video, copy the URL, and paste it to the social network. > Visitors to YouTube spend little time watching individual videos. The average length of a video viewed on YouTube is 2.5 minutes. > Shorter videos are watched more often, and more often watched all the way through. > Participate in the YouTube community by liking and commenting on other videos. > Respond to comments and questions about your videos. > Review the videos and monitor which are getting more views or being shared, to better inform future decisions. > Flip through the YouTube channels to see what others cities and organizations are doing well, and see what's popular. > The point of social media is to easily share information with a community of people and to be able to broadcast messages to a broader audience than you can through other means. > Designate who the primary person(s) will be to manage the account. > For those using an existing profile with multiple account managers, designate a centralized location for logins and passwords. > Promote! Place the Facebook, Twitter, YouTube, and other social account information on business cards, websites, press releases, blogs, and any other locations that can drive traffic. > Ask questions and try to encourage responses from your social communities. Make your networks a valuable resource for information and insight. > In general, messaging can be either public or private; private messaging should be minimized and only used when necessary. > Share everything from press releases and official statements to breaking news and city-wide announcements. > Social implies a two-way street. Be sure to respond to postings, comments, or tweets in a timely manner. > Residents view Social Media as a platform to gain insight into city government and to contribute their voice. > If you have any questions, or don’t understand something, Google it. > If content is shared that is inappropriate or off-message, delete it if no one responded to it. If it has been noticed, apologize and correct it, don’t just quietly delete it. > Share your content across all networks, but be sure to tailor the message for each specific network. > Social Media can be used in addition to existing emergency notification systems, like Honolulu's Nixle. This is a quick and highly effective way to share important messages, PSA’s, and breaking news with your community. > Timeliness is key. For events or gatherings, post updates throughout to keep people immediately informed. > Don’t overwhelm others by over-posting: people will become fatigued and you will lose fans/followers. > Don’t repeat the same message more than once: it will overwhelm and annoy your audience. > Don’t become obsolete due to lack of sharing of new information. Try to update your networks a minimum of once per day. > Don’t post just because you can; only share things worth sharing. > Create messages that will inspire others to share, like, and comment. The goal is to get your messages reposted and retweeted: this will help the word spread and reach many more people. > Be casual and engaging, not authoritative and distant. > Active voice is better than passive voice. > Speak colloquially and use diction that is easy to understand. > Stay consistent, try to keep a similar style and language for each post. > Minimize the mentioning of acronyms unless it is already widely understood. For example, many people may not know that “MOCA” stands for “Mayor’s Office of Culture and the Arts.” If you are unsure whether to abbreviate or not, it’s probably best to spell it out. > If a place, person, or organization you're mentioning in your tweet has a Twitter handle, use that Twitter handle in place of the name. It both notifies them, and shows your social media adeptness and friendliness. > Keep it short and stick to the point. > City of Palo Alto’s Mayor’s Twitter chat. > City of Chicago’s transit authority culls tweets to gain insight on transit system, respond to complaints, and inform planning efforts. > Tailor your message for the proper network, don't just have content pushed or pasted from one social media platform to another. Example: Don't use hashtags on Facebook, they aren't recognized. > To manage multiple accounts or have the ability to schedule posts and tweets, set up Hootsuite or MeasuredVoice to manage multiple accounts. > Follow the prompts to add your social accounts. > You can manage up to five accounts at no cost. > You can schedule tweets and posts for later dates and times. To learn how to schedule them, read Hootsuite's guide. > Inform your community during emergencies or disasters through social media, as it is one of the quickest, easiest, most far-reaching channels available. > Be short, honest, and to the point. > Use the same format and framing across all networks to eliminate potential misunderstandings or confusion. > Use Facebook’s built-in analytics, accessible via the admin panel, to get a better idea about which content is driving traffic and shared most. > Make future decisions based on how the community is responding to and engaging with the content. > Google Analytics is a great tool to monitor data related to your social campaign. > If a more detailed aggregate for social analytics is needed, more information can be found here. > If you want to attract potential job applicants, share the LinkedIn.com job posting across social networks. Be sure to include any information a potential applicant should know. Go forth and engage! Worry less about posting the wrong thing, and more about innovating! Some common sense, friendliness, and analytics go a long way. Experiment with new ideas like Tweetups. Reach out to people, own your social media, and make it yours.